Oh gallery walls, they make my decorating hear go crazy! Today I am sharing the way I turned a large blank wall in my boys’ bedroom into a personalized space for each of their personalities, art work, and tiny hands to shine! 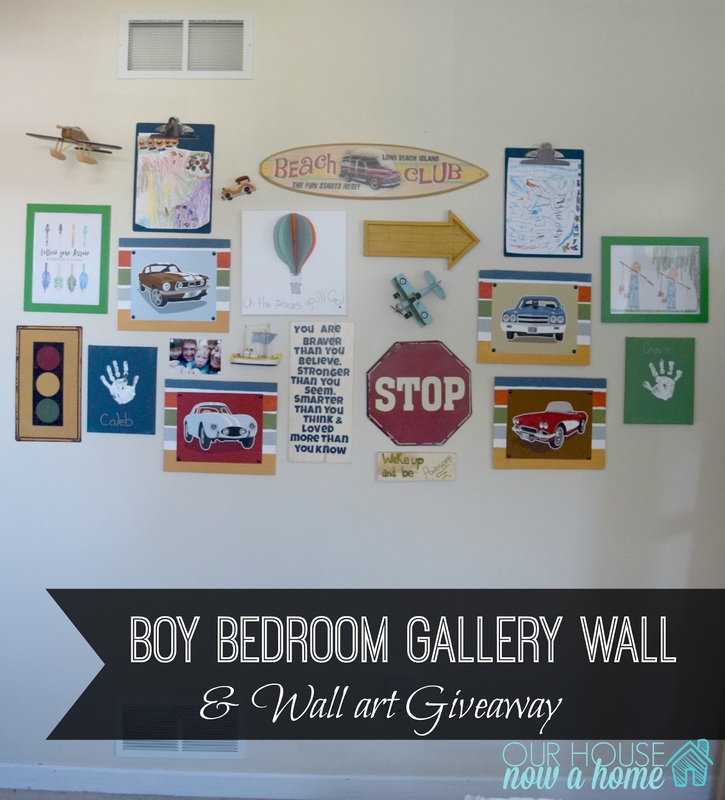 Let’s see how this Boy bedroom gallery wall, some DIY projects and a giveaway came to be. Hi Friends! 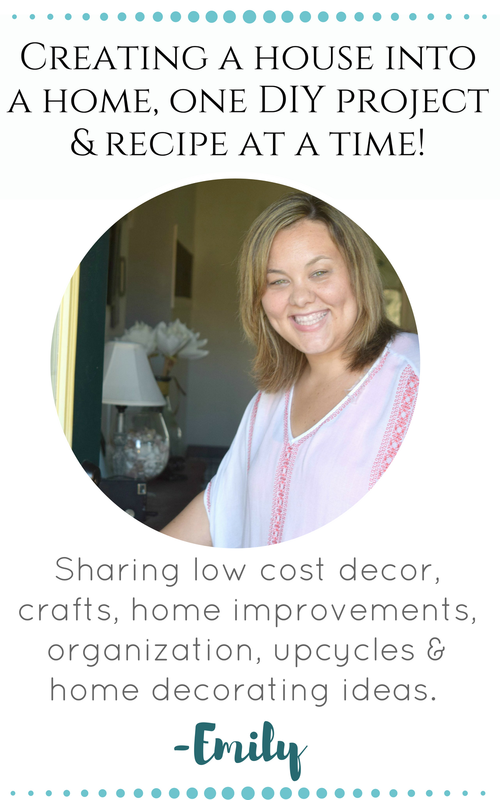 Today marks the beginning of a crazy week around here, it is the full reveal of the One room challenge. That will be happening this Thursday, and I am 100% NOT ready… at all. I am currently hanging a ceiling light, a rope ladder, and still need to tackle a few smaller projects. Talk about cutting it close. Anyways, let’s not let my to-do list get you down on this Monday. Let’s focus on what I DO have done. I have this wonderful gallery wall in the boys bedroom done. It is a mixture of DIY projects, which I am going to explain below. It also features a few newly purchased item’s and one amazing picture from Pastel Trail! Aside from getting to enjoy the pretty print in my gallery wall, you all will have a chance to pick a wall art piece of your own from them. The information for that giveaway will be at the bottom of the page. 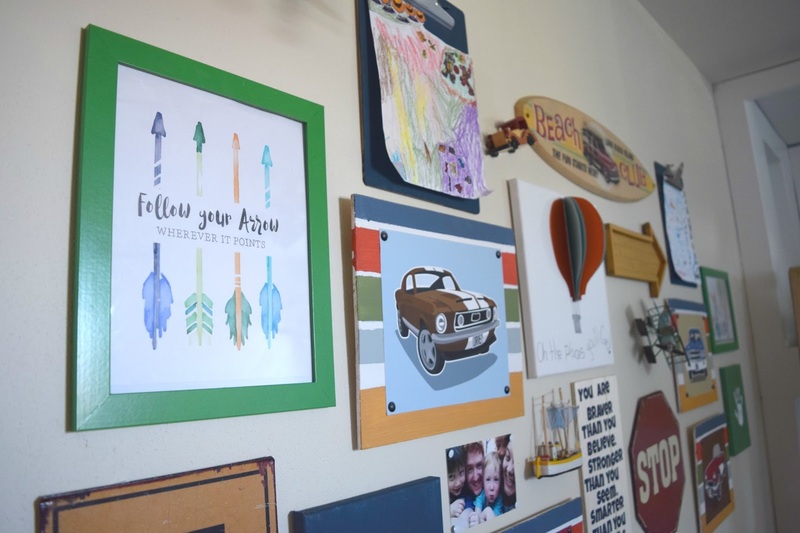 Yes, you have a chance to get your very own wall art. It is stunning and I will explain all of it’s loveliness in a few minutes! You can win one of these! Before I get to the giveaway I am going to break down the tiny DIY projects I did to create this gallery wall. Caleb & Gavin are into drawing, a lot. 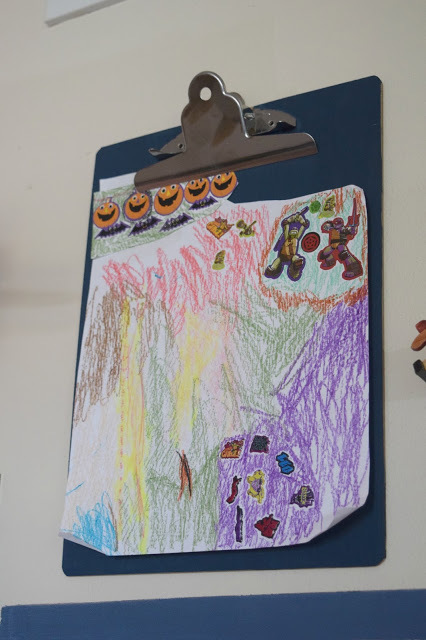 I wanted to create a place where their art work can become part of their bedroom. 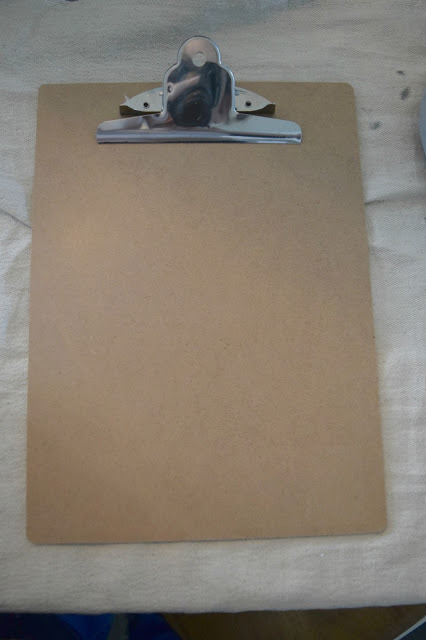 I purchased two clipboards. Held down the “clip” part of the boards and painted a dark blue. That is it! Use the hole already in the clipboard to hang it on the wall, let the kids go crazy with their newest creation and display it. I think this may go down as the easiest wall art idea to ever exist. 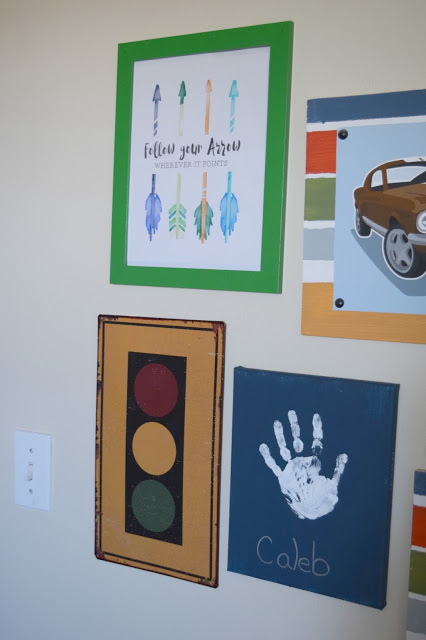 Moving on, there is so much more wall art ideas. 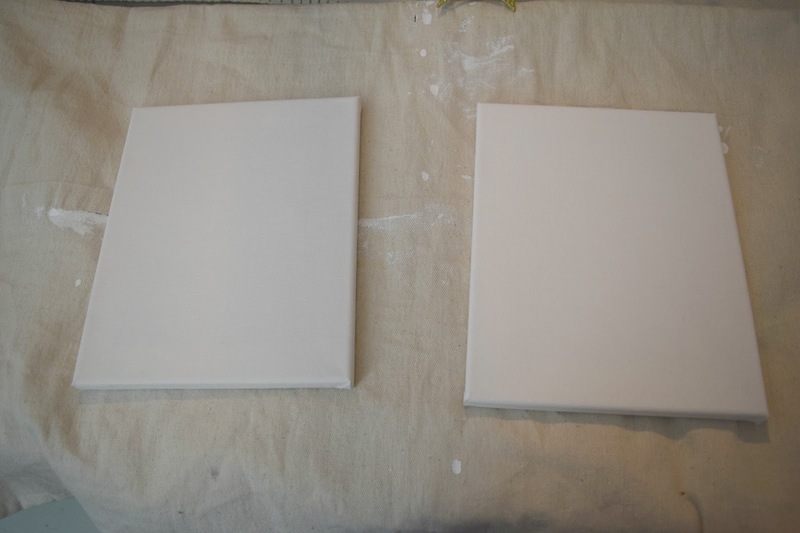 Next up, turning two small canvas’s into memories. 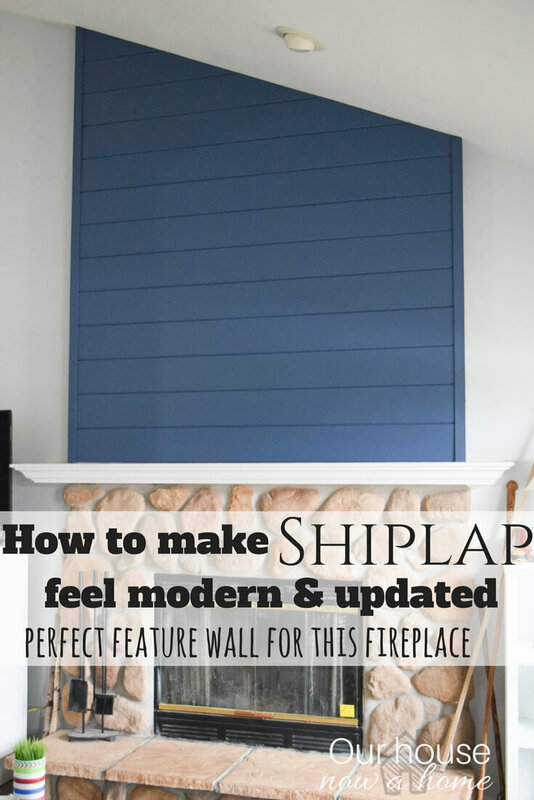 A gallery wall will always be better if it is personal. 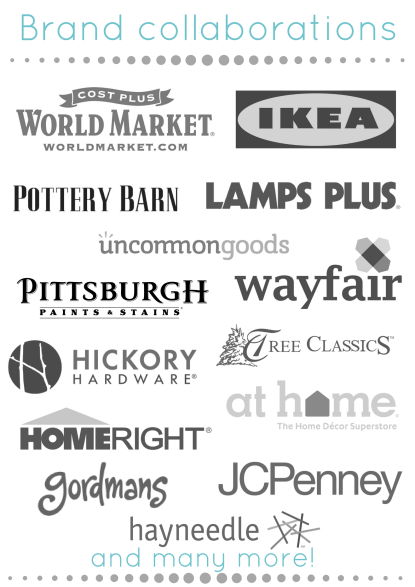 Sure you could just go and get a bunch of new stuff from stores. But, blending in personal touches makes that gallery wall be perfectly you or your family. 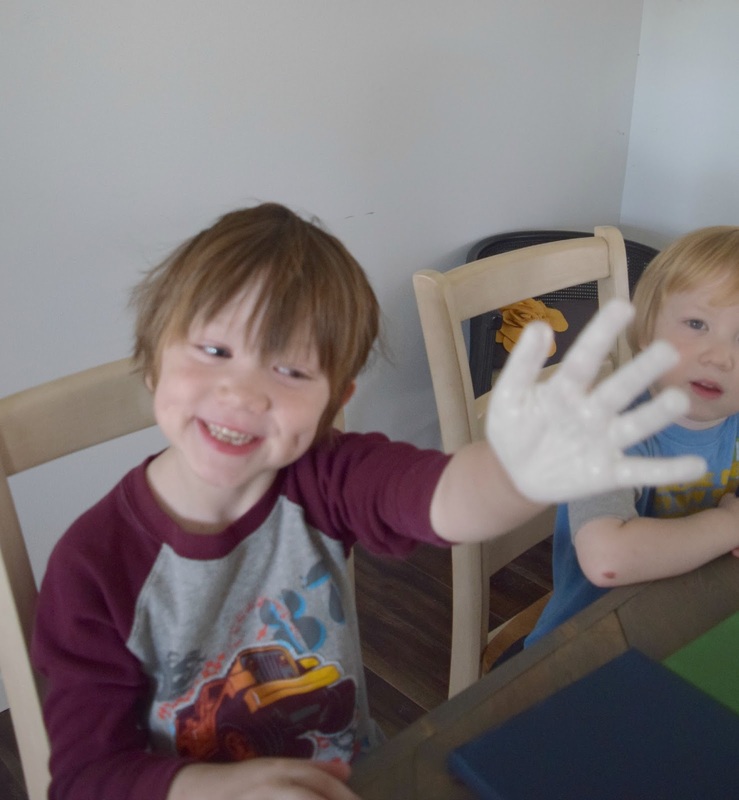 I needed Caleb and Gavin, and some white paint for this one. Also their tiny little 6 year old and 4 year old hands. I painted the canvas’s blue and green. These are the main colors in the bedroom. They are also my boys designated colors. They were decided on by the kids as a group a while ago. I smushed their little hands and then frantically carried their hand above their head to the sink to rinse off. Kid artwork is so fun! 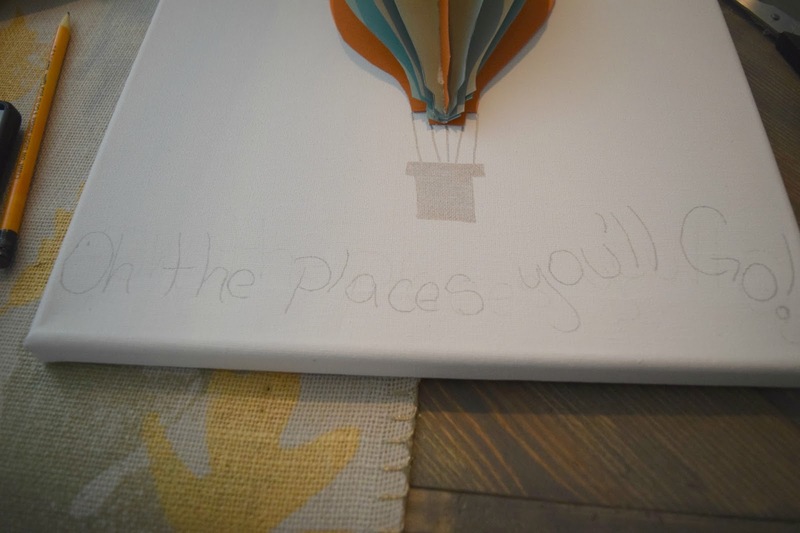 I wrote their names in marker, and also their age and year on the side of the canvas. 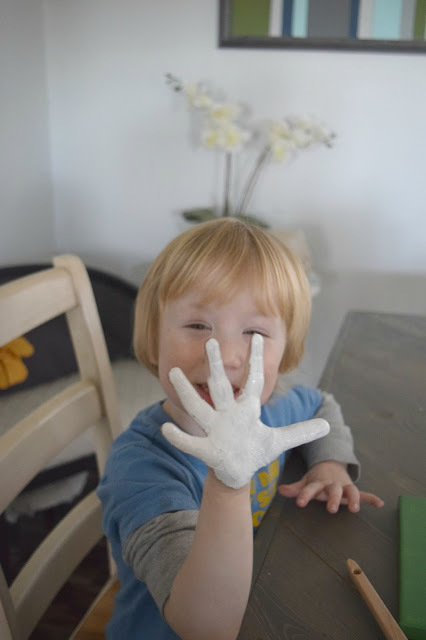 Little hands like this will seem even smaller in a few years time. 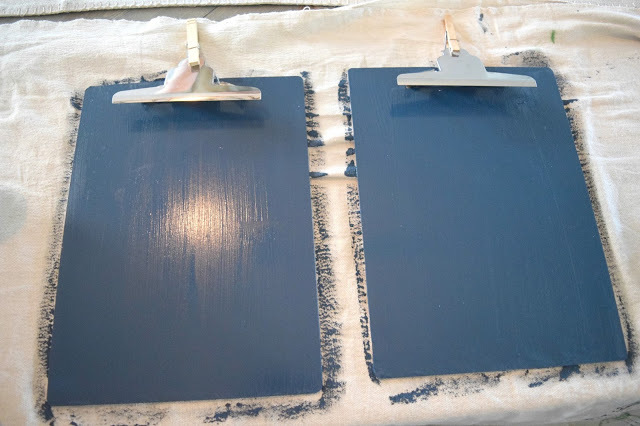 DIY wall art project #3! 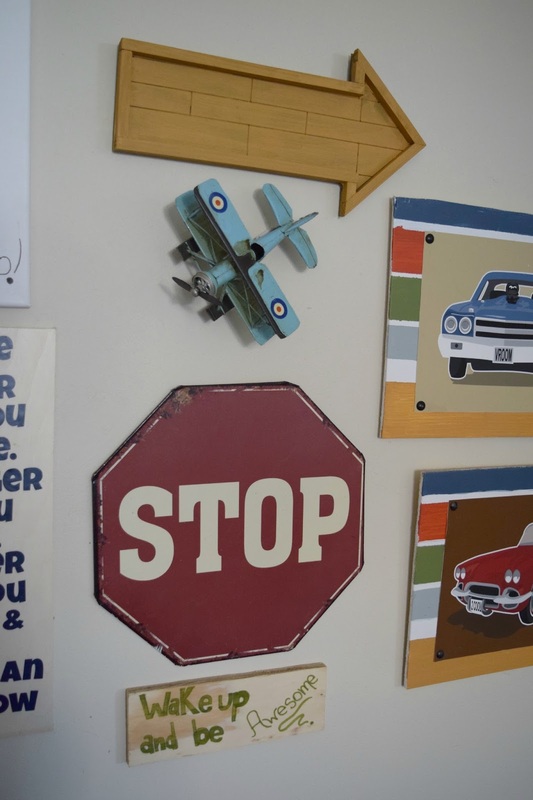 This is a transportation themed bedroom, we have the usual suspects of cars, trains, planes, boats. I wanted to change things up with a few additions. I made a 3D paper Hot air balloon wall art. 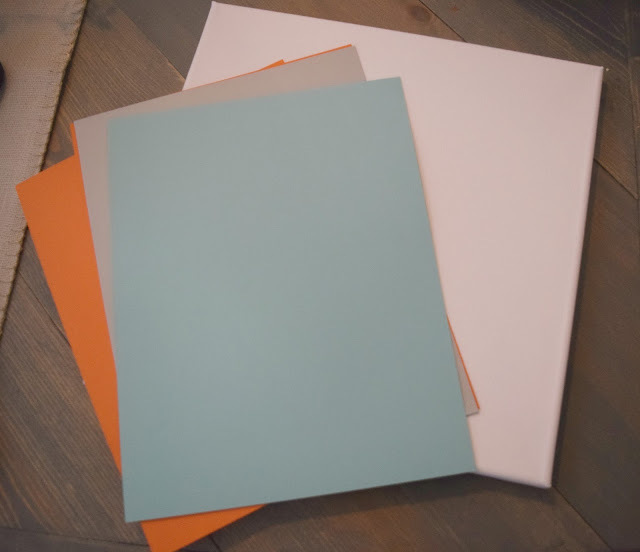 I selected a few construction paper colors that went with the room and a square canvas. 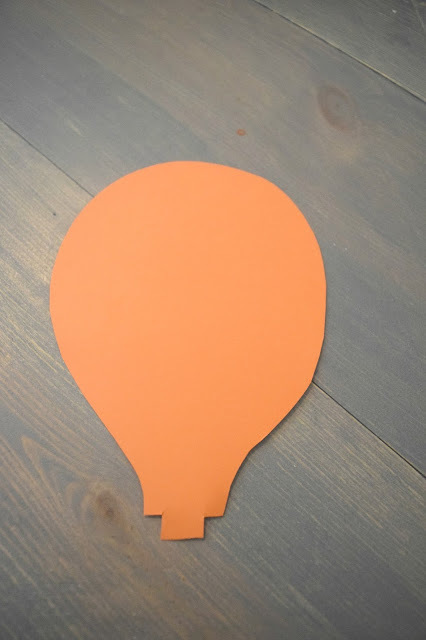 Drew out and cut the shape of a hot air balloon. 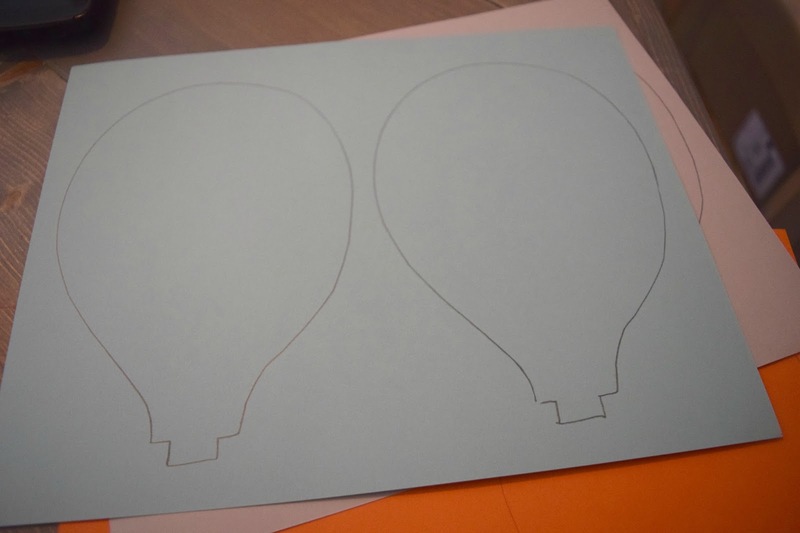 Then used that as a template to trace out more hot air balloon tops. I hot glued the first one down on the canvas flat. Put a line of hot glue down the center of this one. 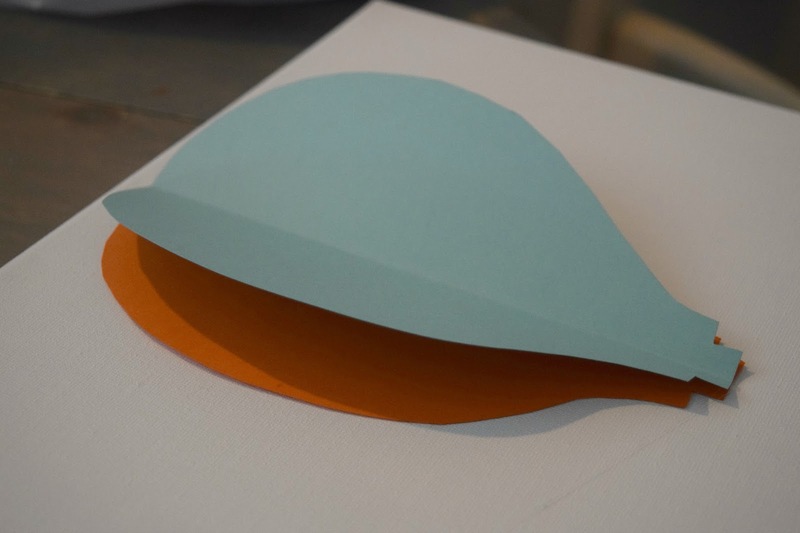 Folded a different colored shape in half. Set it on the glue and push down. I repeated this two more times. Giving me 4 layers of hot air balloon detail. The final one I cut the hot air balloon top in half. Then glued it into the center. 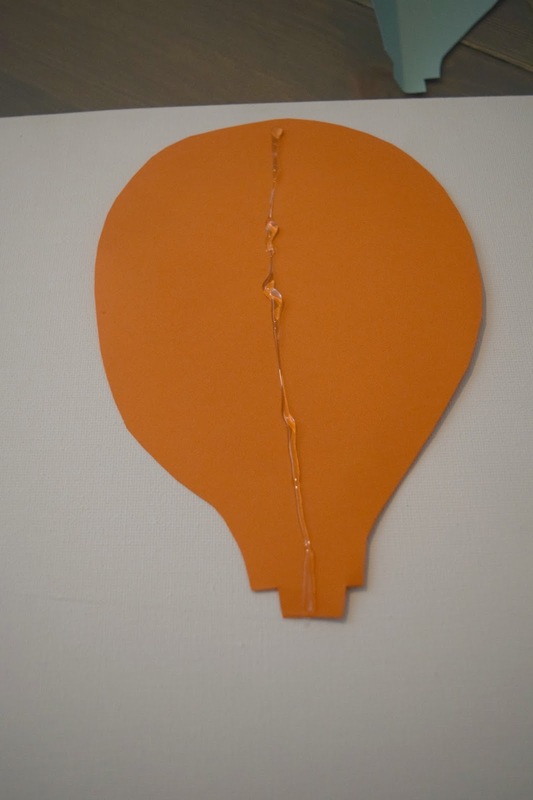 This created a fully finished and in the air appearance of a hot air balloon. 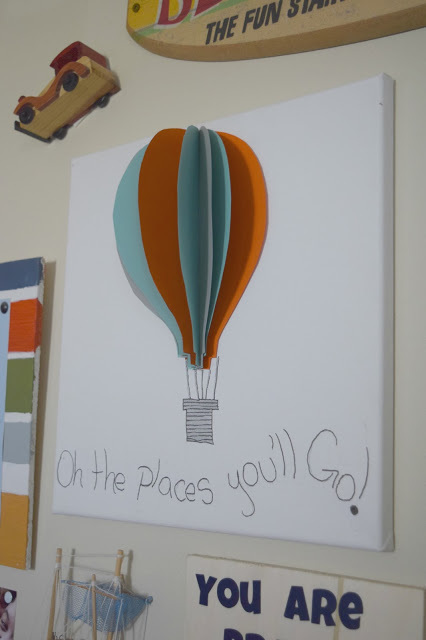 I drew on the basket, rope and a quote I adore “Oh the places you’ll go”. I drew this in pencil so that I could erase if needed. Then I outlined it in permanent marker when I had the words where I wanted them to go. This is what I had to work with. 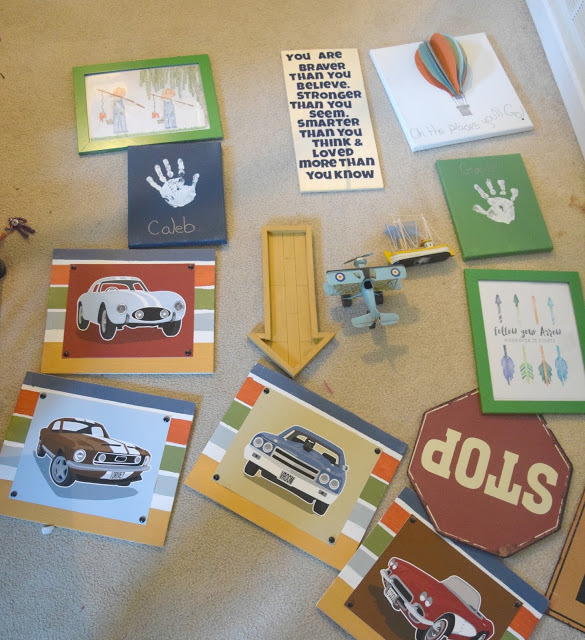 A hodge podge of DIY art pieces, new purchased, thrift store finds, and family pieces. All mixed together. I am not the most organized with how I put my gallery wall together. I had a grouping of things that I thought would go good together. Keeping in mind to have varying sizes and shapes. Once they were all done I laid them out and started moving them around. Eventually it started to make sense and I saw what it could be. Keeping similar looking things to be evened out on either side. Helping with the “weight” of the gallery wall. I then started in the middle of the wall and worked my way out on either side. This helped me keep things centered and made sure there was even amounts of pictures on both sides. 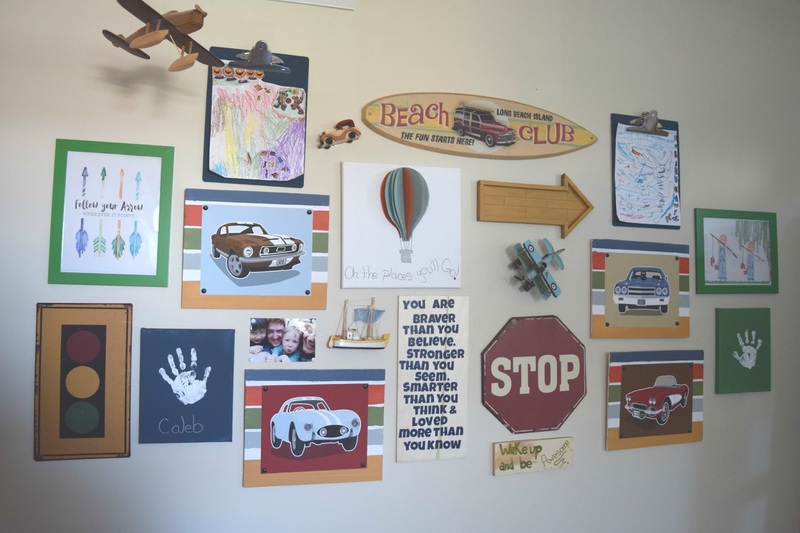 When all was said and done I have a bright, fun, transportation, and personalized gallery wall for my boys. I love the use of a few of my favorite quotes for them, their little hand prints. Also using some actual objects like the boat and airplane was fun for me to incorporate into it. 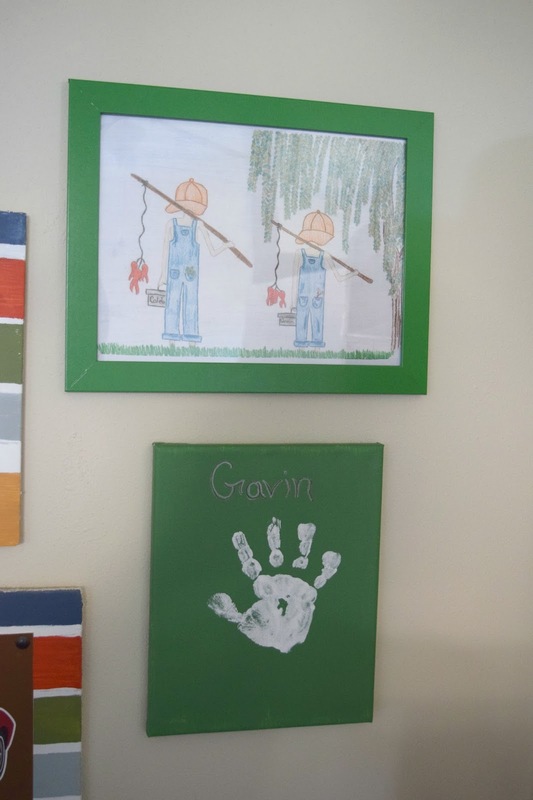 I drew the picture of the two boys fishing when I was pregnant with Gavin. Nora has one as well, they have been downstairs in their playroom. I felt it worked up here. The green frame was purchased from IKEA. There is the wonderful Patel trail wall art. I love the colors in it, which they custom made for me. It is not particularly transportation themed. However, I added some great growing up and inspiring quotes. I felt going places went with transpiration perfectly. For better or worse, Caleb and Gavin are growing and will lead a life of their own. 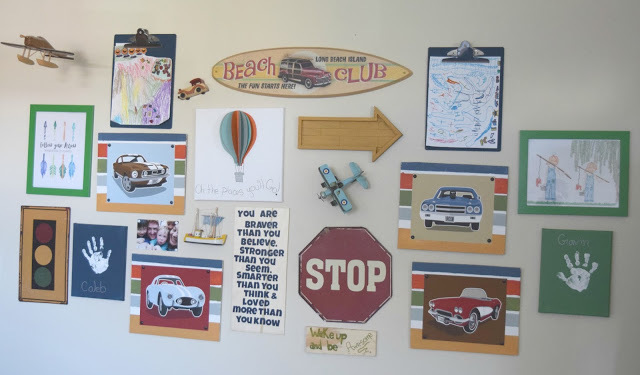 This gallery wall represents where they are, where they have been and where they are going. Which of course, cars and airplanes take you there. It all fit nicely together without being over the top with a theme. 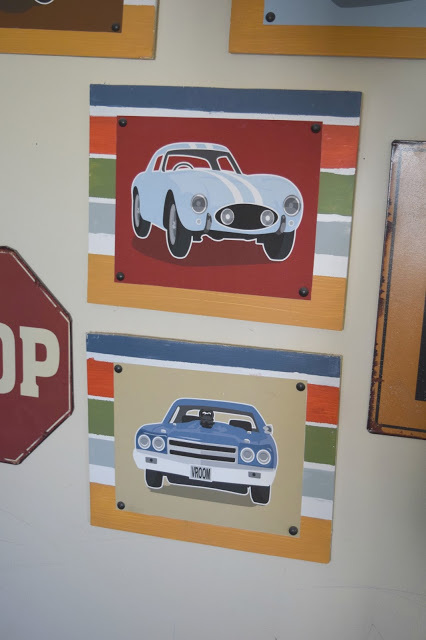 I created these wall art pieces as well by ordering the car prints online and then painting a piece of board with the lines. 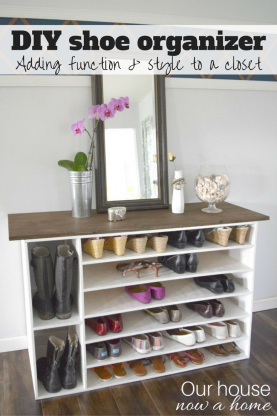 It was another quick and simple DIY project. 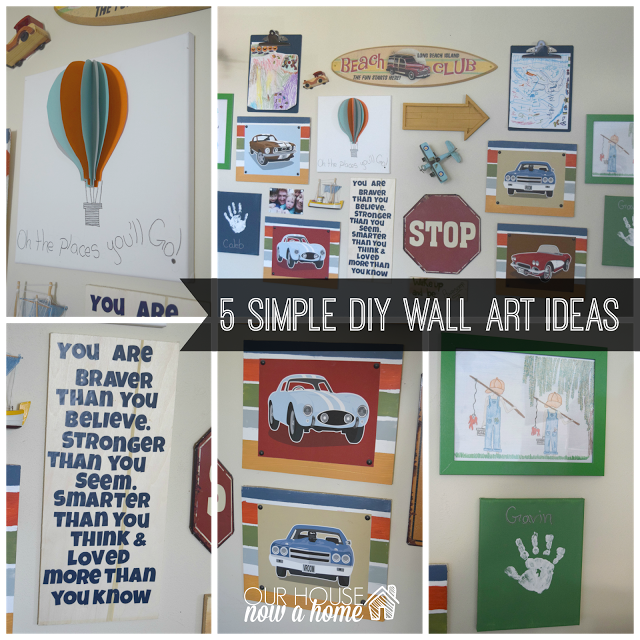 Most of this gallery wall was added to the wall with double sided adhesive. Less holes in the wall. 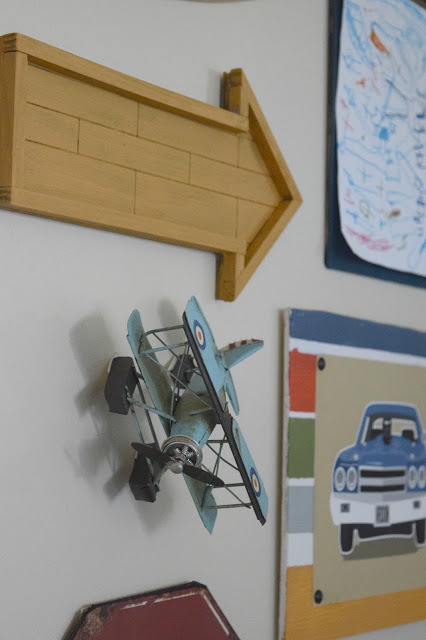 It also allowed me to use fun things on the wall like this airplane. I found this airplane at a thrift store. Oh the places my boys’ will go! I had fun going so bright and bold in here. There is a lot of color, patterns and textures. This wall is a perfect indication what the rest of the bedroom looks like. Bold, bright, rustic, vintage and fun. I love this quote and want my kids to know it and understand these words. So important to build them up! I created this by using my Cricut and having it cut out the words. 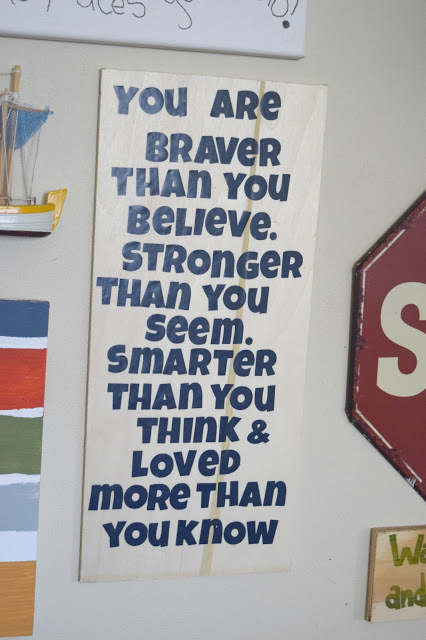 I put the words on a light wood board. The wood pieces in this bedroom are going to have the “naked” finish to them. I loved the idea of light wood in here. Anytime I talk to Dale about the naked wood stain look on pieces my kids giggle because I used the word naked. I am waiting for the moment they announce at school that their Mommy put naked things in their bedroom. This blog is my proof that there was no illicit moments with this, naked wood in their bedroom. That is all! I ended up with a tiny hole in my gallery wall. 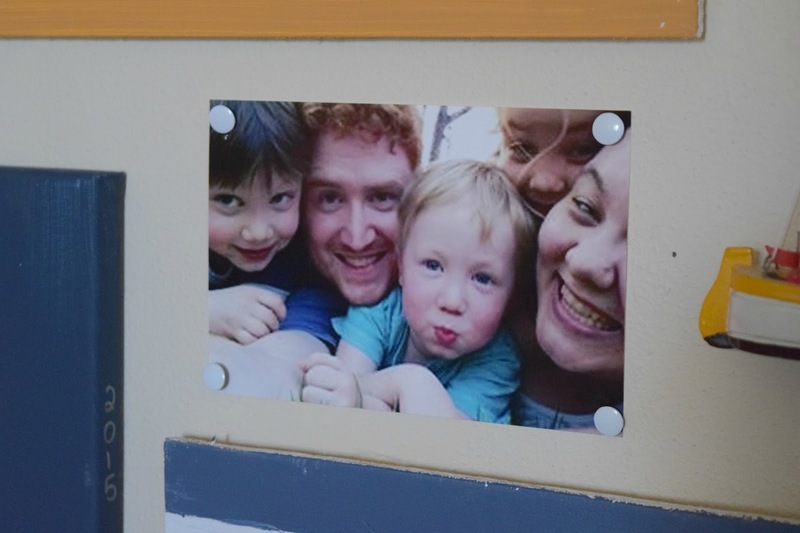 This fun picture, a family selfie fit perfectly in the space. I used some tacks to put it on the wall. I think it blended in well! I think we all know I have a soft spot for gallery walls. This one was fun to put together. It has chaos, life, and fun in it. All things a boy bedroom should have. I also made the blending of new, old, DIY, upcycle, and personal all mesh really well. 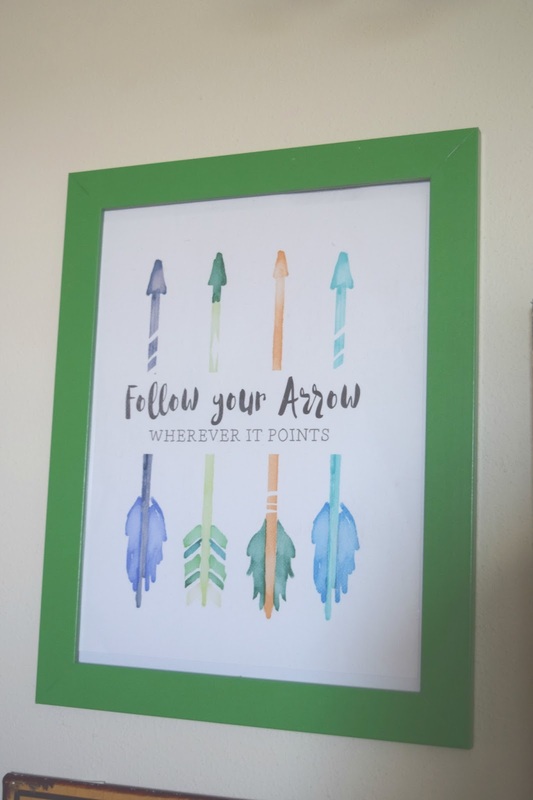 I will say this Follow your arrow art piece is stunning in person. The colors are so vibrant! Now for the nitty-gritty of the giveaway, it is open now until November 22nd! 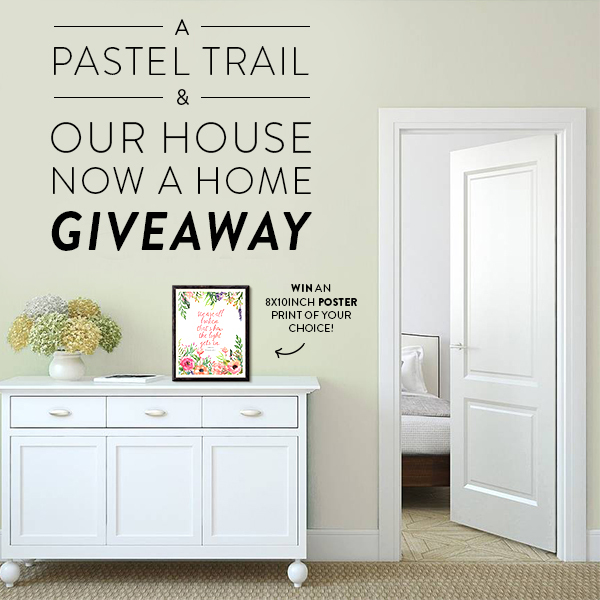 One winner will get to select a art piece of your own for your home. You can select the one I did or something completely different. The people at Pastel Trail are so kind and helpful. 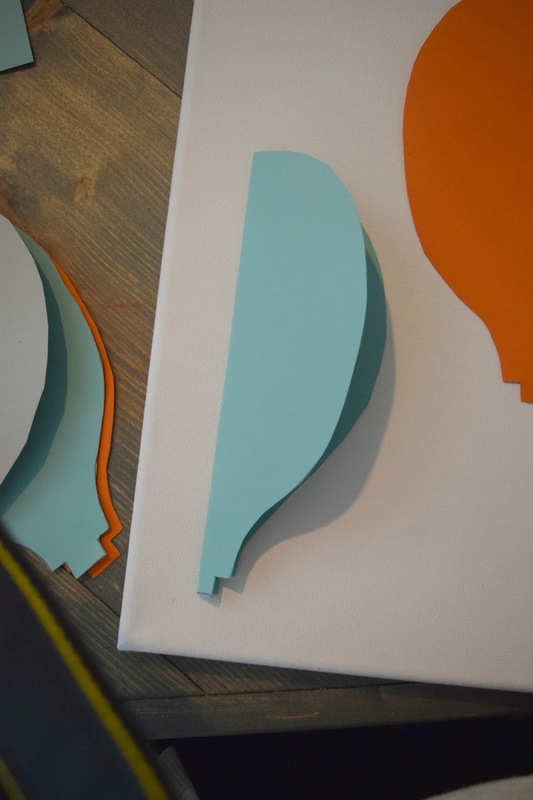 You are in good hands and will end up with a gorgeous piece of art in your home! Good luck! Who does not love a good gallery wall? 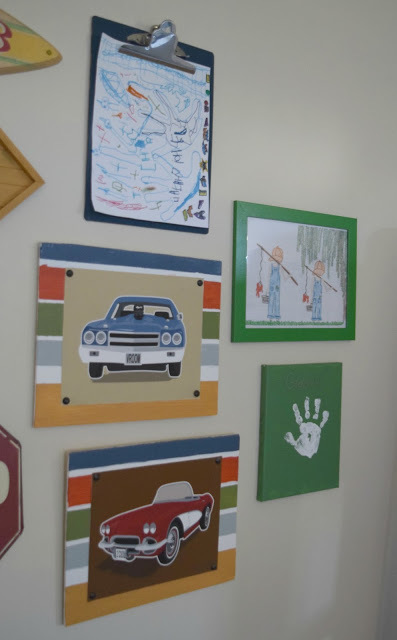 Any gallery wall is good as long as you have personalized it, made it your own. 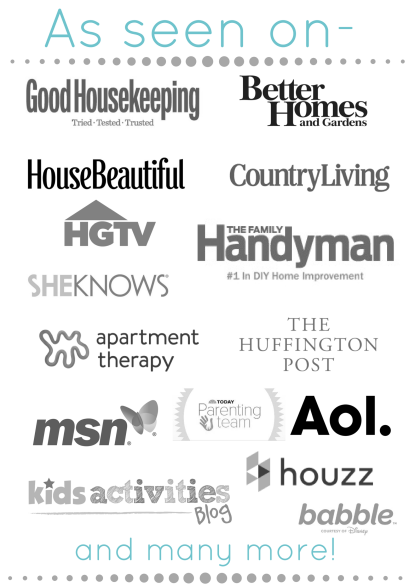 This is a simple way to really make a impression and a stamp on your home. Have fun with it! Be sure to come back on Thursday for the big One room challenge reveal! You're so creative. Your kids have to be so pumped about their new room. 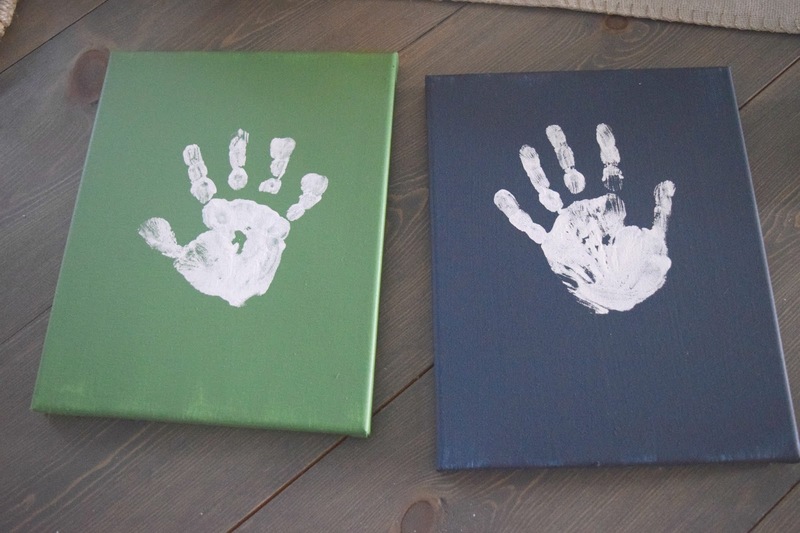 The hand prints are a great extra touch! Thank you! My kids are really excited to have this room done, me too! 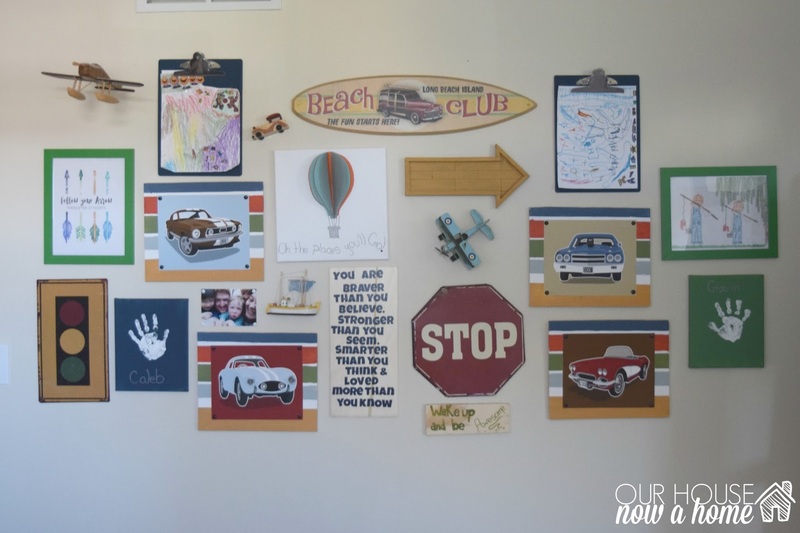 Emily, I'm loving your gallery wall! 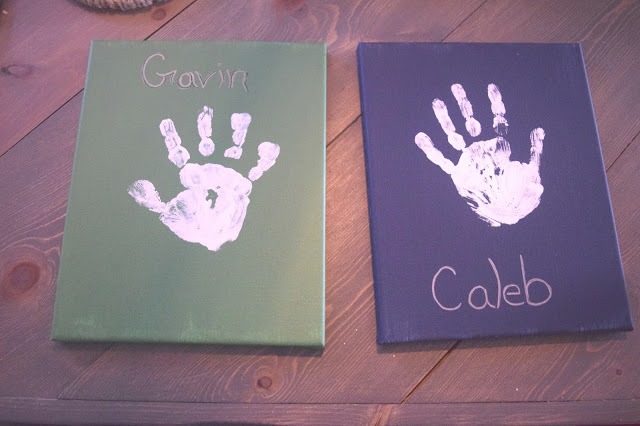 The hand prints are adorable! I still have my daughter's hand prints from first grade on my kitchen wall and she's a teenager now! Thank you! That is so sweet that you have your daughters up still, I will be the same way and when they want these out of their bedroom I will be putting them somewhere else in the house. I love a good gallery wall! Thanks for sharing! A fun and bright gallery wall similar to this would be great in a playroom! I love the gallery wall! It's soo cute! 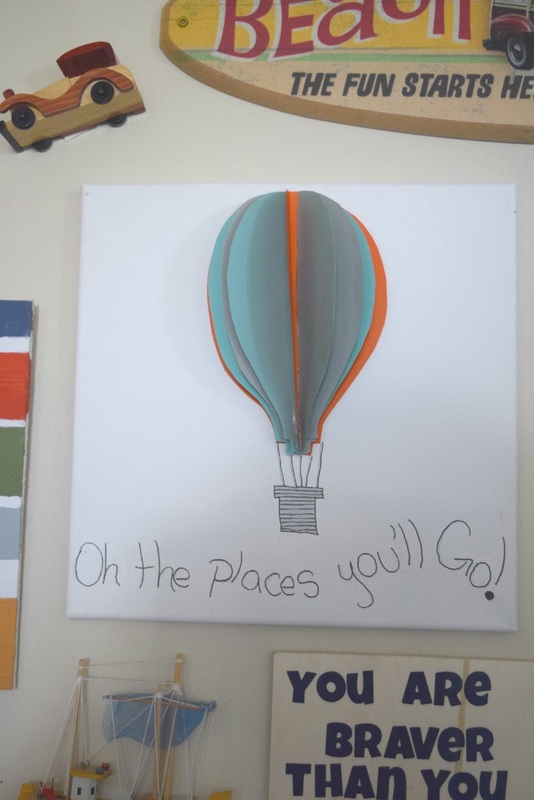 I really love the hot air balloon art work you did! I LOVE your gallery wall. 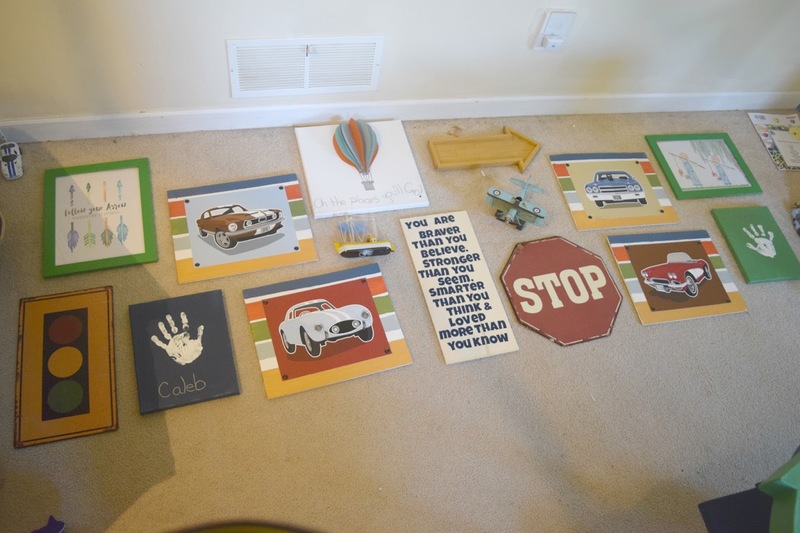 It's so cool how you incorporated your crafts with the kids crafts with the signs. I love it all. 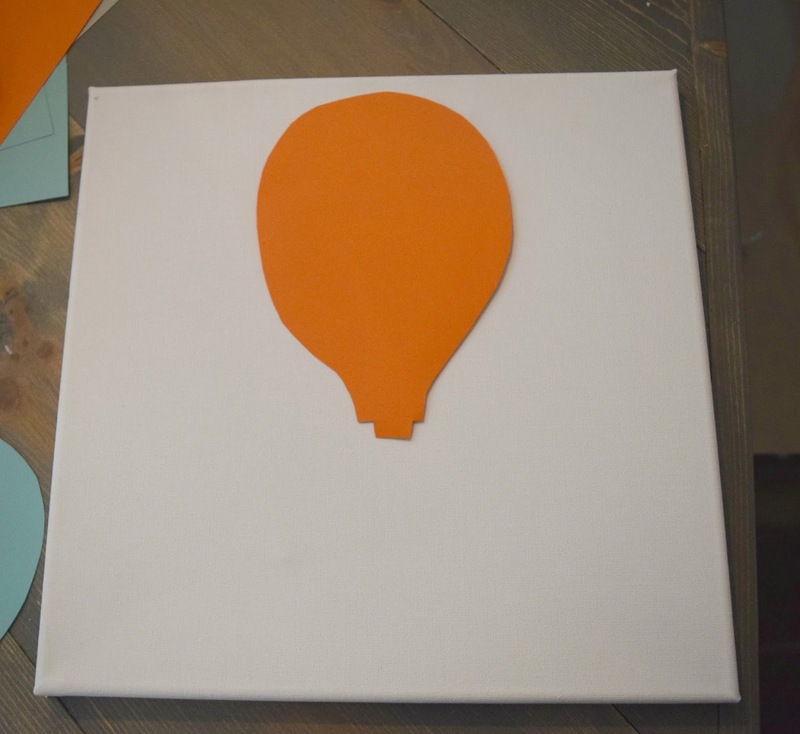 That Hot air balloon is fantastic (and we love that book too.) I also love that quote. Perfect. Thank you so much! 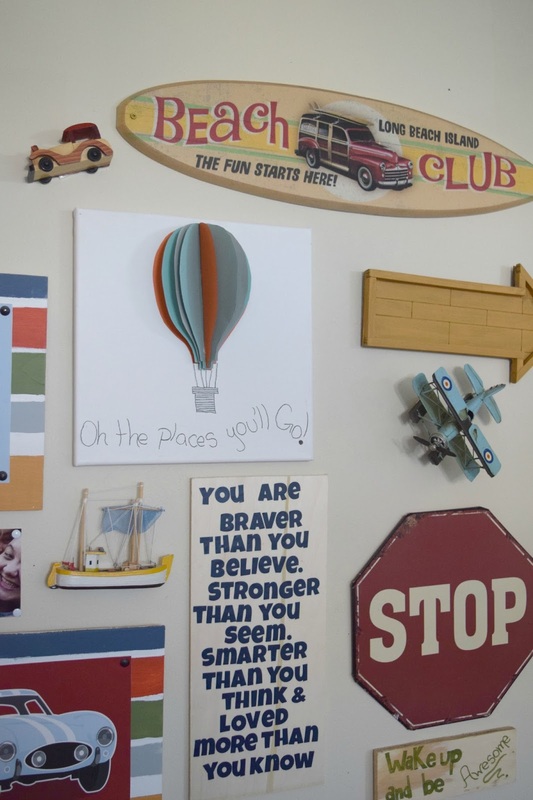 I knew I wanted to use one quote from that book in this bedroom, there are a ton of great ones to choose from with that book. Emily this is absolutely adorable! 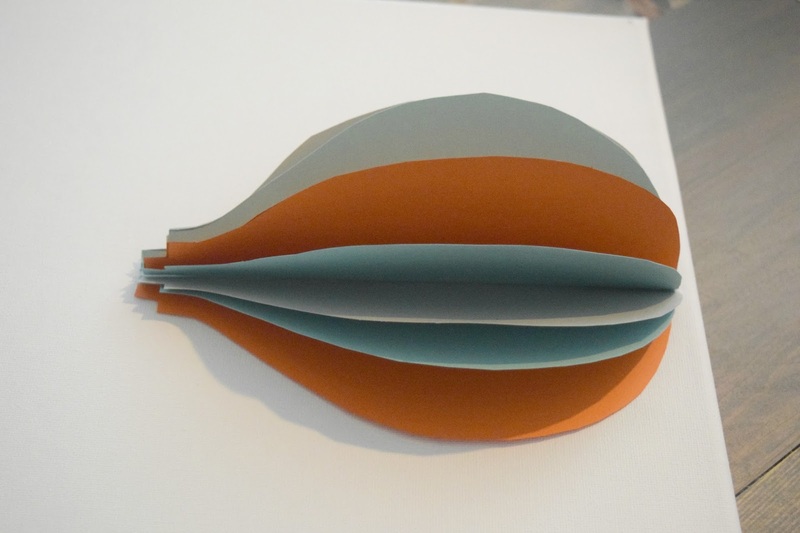 I love the 3D balloon! 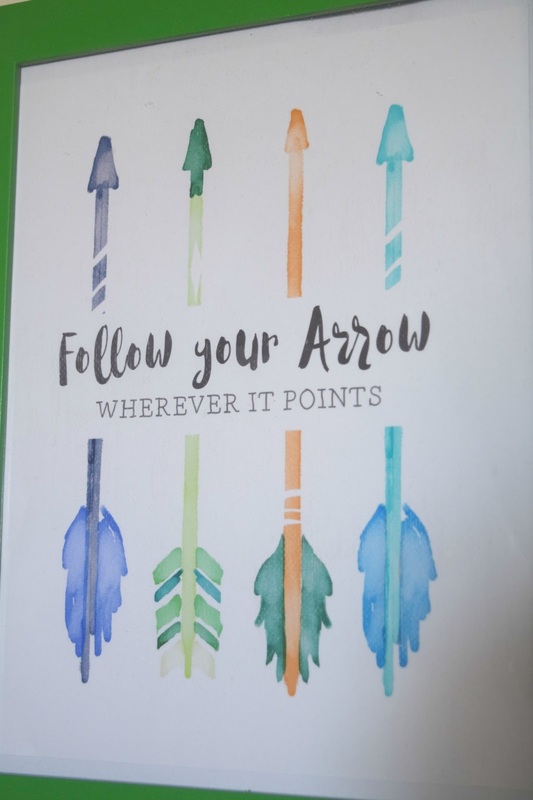 And I love the Follow your Arrow art piece! Great job! 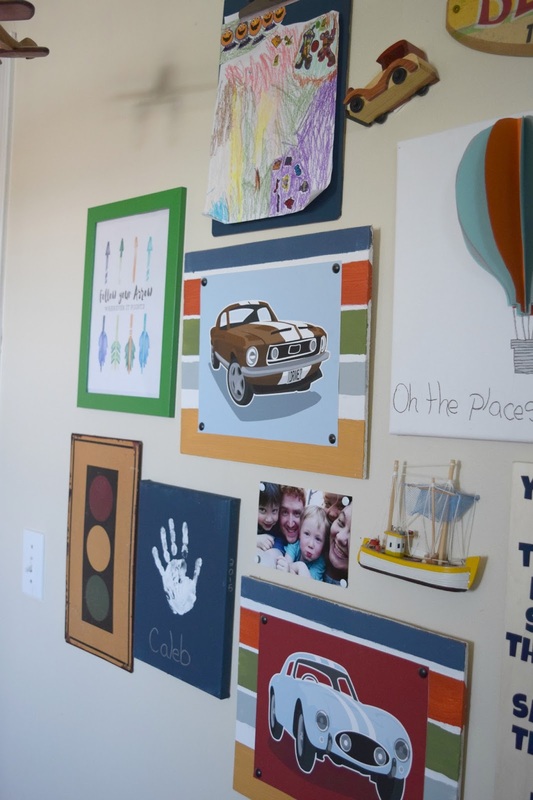 Your gallery wall looks great! Hi, Emily ~ This gallery wall is so fun and colorful! I like the personal touches you’ve included. I’ll bet your boys are happy to have an updated room! Thank you so much! I had fun making this about them, ans they do love their new bedroom! What a great gallery wall! The best part is that it’s filled with personal touches from your kids! Also, thanks for the fun giveaway! Thank you! 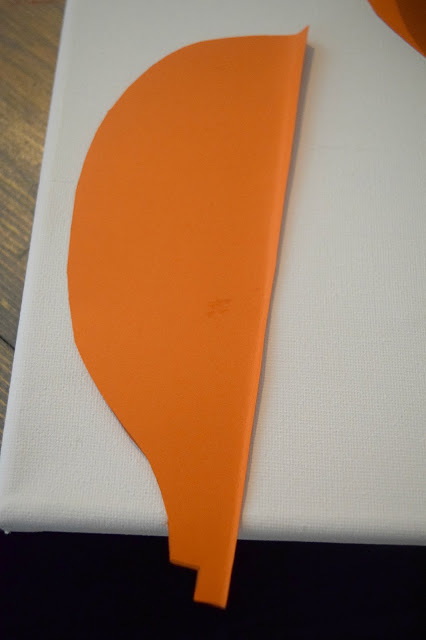 The art is such a great piece, one person is going to be very lucky! 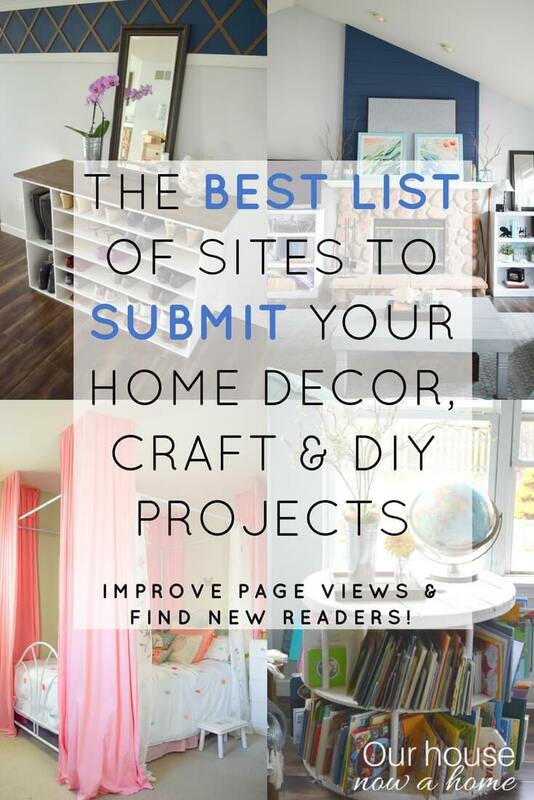 These ideas are so creative and neat!! It’s so nice that you set aside the time to do these with your kids. Thank you for posting!! It was a lot of fun working with the boys on what they wanted in their bedroom. I am raising some kids with big opinions. I love seeing their personalities come out.